So, when I told y’all what my plans were for 2013, I mentioned that I had my sights set on 5 obstacles races (didn’t know which ones), as well as a destination race (didn’t know where). Well… Jen and I put pen to paper and killed a few birds with one stone. One really awesome, mythological stone. Ladies and gents – this is the Spartan Race. Well – it’s awesome because obstacle racing is no longer a niche activity… it’s a sport. 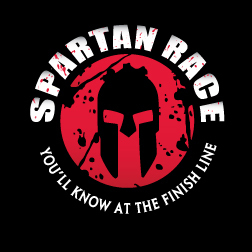 And Reebok has decided to sponsor Spartan Race, making it the first race series to receive such sponsorship. Big money = BIG awesome. Also, as the name indicates, it’s a Race. Others, like the Tough Mudder, are really tough (and still on my to-do list for a TBD date/ timeframe) but not timed for everyday participants (just for the highest level competitors), so it’s more about teamwork. Very cool in it’s own right… but it’s not the Spartan Race. To complete the Spartan Trifecta. 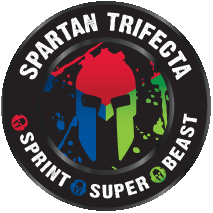 And completing the Spartan Trifecta is simply doing at least one of each in a calendar year. ‘Simply’… LMAO. There’s absolutely nothing simple about it. It’s gonna be a great challenge – but a challenge I’m ready for. 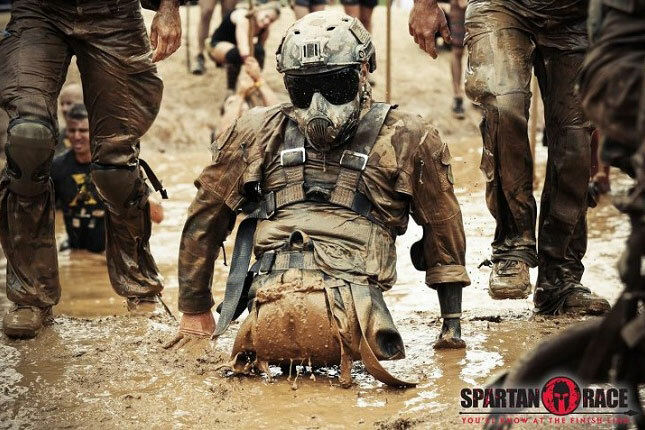 Well… the Spartan Beasts are few and far between. So, Jen and I are planning a trip to sunny Madison, Wisconsin (!!!) to complete the final leg of the Trifecta. Travelling to race (and coming home afterwards) is gonna be an interesting experience, but by then we’re gonna be 2x Spartan Race finishers… so really, what’s gonna phase us?!?! And speaking of ‘us’… I think you should be part of ‘us’! So why don’t you do one of the races with Jen and I? And I’m gonna help you do that. CLICK HERE, and sign up using the code on the page and get 15% your race – any race, multiple races, doesn’t matter! Sign up for a race, use the code, 15% off. It’s literally as easy as that. Oh, and just stop with the questions about my supple, glowing skin – it’s creepy. And awkward. I’m uncomfortable now… I’m going to moisturize. You are currently browsing the Blubber To Runner blog archives for February, 2013.